please contact Alina Santana at 973-322-4320. A few families started it all 19 years ago. Now, over 3000 people come every year. 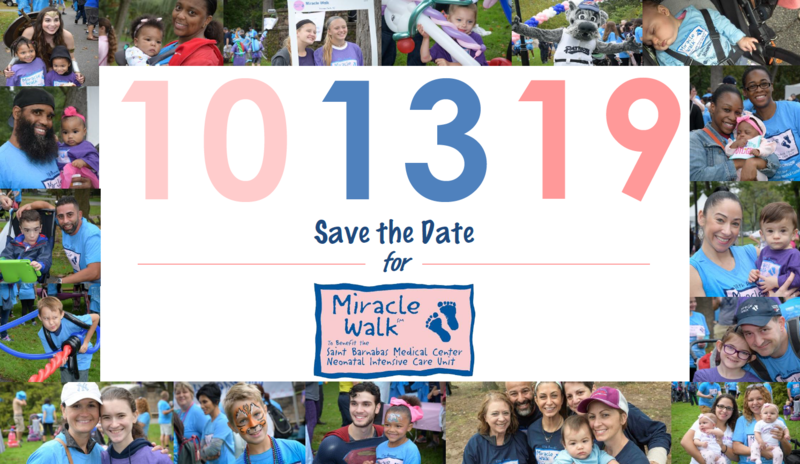 See how funds raised from Miracle Walk support the Neonatal Intensive Care Unit at Saint Barnabas Medical Center. Create a team, invite family and friends to join you, share your story and more! Can't make it this year? 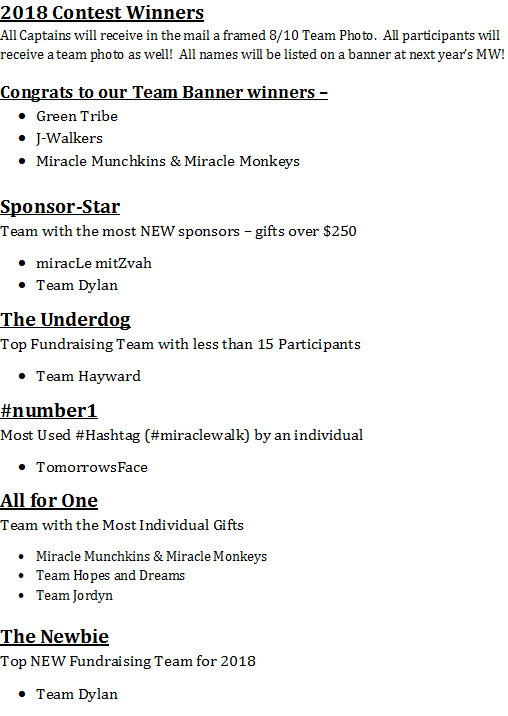 Become a virtual walker and keep your team fundraising for Miracles!